When families disconnect, they connect. This phrase, taken from an ad for a pepper mill that enables one to turn off the TV, Wi-Fi, cell phone or tablet with a simple twist of the wrist, reminds us of the impact that technology has upon our lives. A family dinner, complete with TVs, tablets, and cellphones is likely to limit the contact between the people around the table, while a dinner exempt from such devices, where attention is entirely directed towards family members, will generate far more conversation, will reinforce relationships and will have a positive emotional and psychological impact. Although technology often makes life easier for us, it also sometimes leads us to neglect the importance of human contact and the powerful impact that genuine connections, and non-virtual ones at that, can have. The link with career transition? As the leader of a team of consultants in the field, this ad spontaneously got me to thinking about the reality in our environment. A reality that, I must admit, saddens me. Over the past few years, we’ve observed that a growing number of career transition firms offer programs primarily focused upon virtual tools, at astonishingly low prices. Some of them provide access to individual consultations, exclusively by phone, which keeps a certain distance and thwarts the possibility of the employee creating a relationship with the career counselor. Although technological tools are feasible and complementary in the process, I believe that they cannot replace the value of individual, face-to-face guidance and support. Why is human contact so important after job loss? Losing one’s job when it is imposed is one of the ten most stressful life events. Each person reacts differently; however, for many, it becomes an emotional period during which they will feel alone, anxious and vulnerable. Several studies demonstrate that social support is extremely important in these periods of stress. However, in spite of all their good intentions, one’s family and friends do not always have the desired positive impact. The counselor then becomes an important anchor throughout the transition process and the client’s “professional renaissance”. 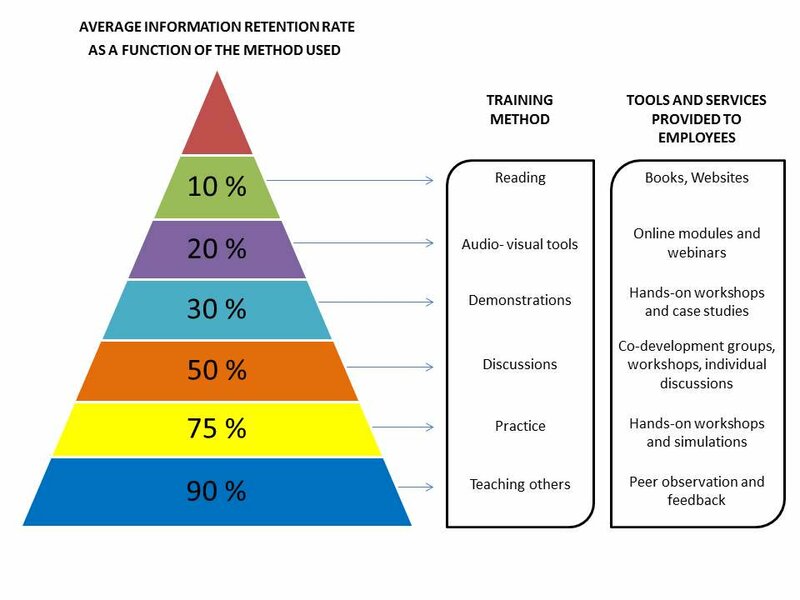 Another key anchor is the peer group, which unfortunately tends to be replaced by televised-courses and group webinars, that are less costly to administer. Albeit a relatively effective, simple method for transmitting information and learning the concepts that are necessary for their transition, they encourage people to sit back and remain in the comfort of their living room. However, is “remaining in one’s living room…” really the best option in this particular context? I believe, on the contrary, that it’s important for people who have lost their job to break out of their isolation, to exchange and interact with other people who are going through the same situation and who share the same concerns, and to benefit from someone who may listen attentively to them and provide some empathy… in essence, a little human warmth! The conclusion is obvious: adults learn more effectively when in contact with others! Online tools may provide excellent basic information, but cannot replace human contact. Indeed, during a career transition, transferring learning into action constitutes 80% of the success rate… and is dependent upon direct exchanges with other people. I fundamentally believe that human contact must be at the very heart of a successful career transition Program. Above and beyond the employer’s moral responsibility, it has been demonstrated that how an employer treats his employees “when they are let go” will have a direct impact upon the engagement of the employees who remain behind, upon company brand image and the ability to retain and attract employees. Top tier employers treat the employees who leave and those who remain with equal consideration. They have understood that a virtual connection cannot replace the potency of a heartfelt human connection, that can only exist with direct and sincere human contact. Therefore, in both career transition and in daily life, I recommend that you disconnect in order to better connect!